Wondering how to spend a Sunday morning in Athens? A must thing to do is visit the flea markets around the city. 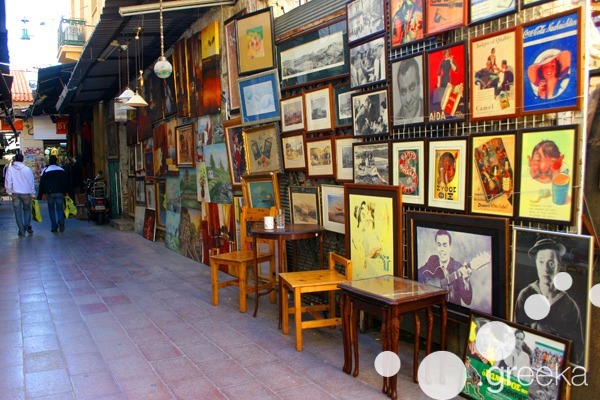 The Athens flea markets, with their collection of small shops, selling all kinds of trinkets and antiques, and independent merchants arraying their trade on outdoor tables, give a special oriental atmosphere to Athens. A favorite pastime for tourists and locals is shopping or just strolling around these little stores. Merchandise ranges from conventional souvenirs and clothing to rare books, collections of vinyl records, or traditional instruments and surely makes a unique experience. These Athens flea markets are mostly frequented on weekends, especially on Sundays, and can be combined with a coffee break or lunch in the many nearby cafeterias and taverns. 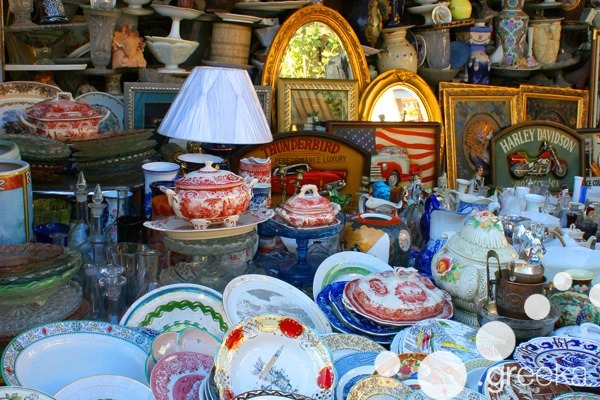 The most famous Athens flea markets are in Monastiraki. Found in the heart of the city and easily reached by all means of transport, Monastiraki flea market stretches between Pandrossou street and Ifestou str. 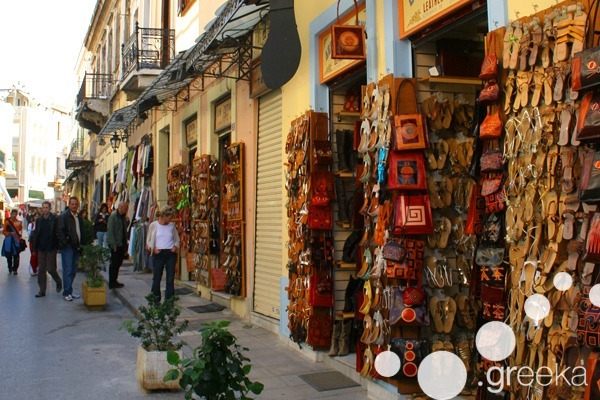 Featuring a variety of souvenir shops, clothes, shoes and accessories stores, as well as handmade musical instruments and traditional board games, Monastiraki flea market is a place where you can buy almost anything in low price. It is exciting to discover rare objects sold at the market and walk through the cobbled streets, as the area has kept its old character. Another very interesting flea market in Athens is found on Avissinias Square, very close to Monastiraki and south of Ermou str. The market exudes a feeling of nostalgia for the past, making Avissinias Square a perfect place for collectors and history lovers. The stores and tables are packed up with genuine antiques, wooden furniture and garnishes, paintings and old books of special editions. Avissinias Square gets crowded on Sundays, so be prepared for a bit of a bustle, with outdoor small vendors selling second-hand items at a trivial cost. 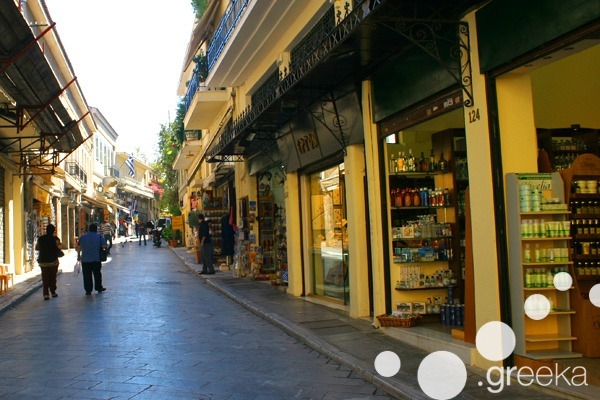 At the end of Adrianou Street in Plaka you will find another tourist targeted market, where a collection of interesting antique shops and galleries is offered. The flea market in Plaka has also tourist souvenir stores, but it is mostly known for its vintage character. There, in the market of Plaka, take a moment to observe the splendid architecture of the area, with the many Neoclassical elements. Considering what you can buy in these interesting Athens open bazaars, the possibilities are truly endless. For tourists who are looking for gifts or small reminders of their trip to Athens, there is a great variety of tourist shops that sell souvenirs, clothes, accessories and fine jewelry. A large merchandise with hand-crafted bags and shoes is also available. 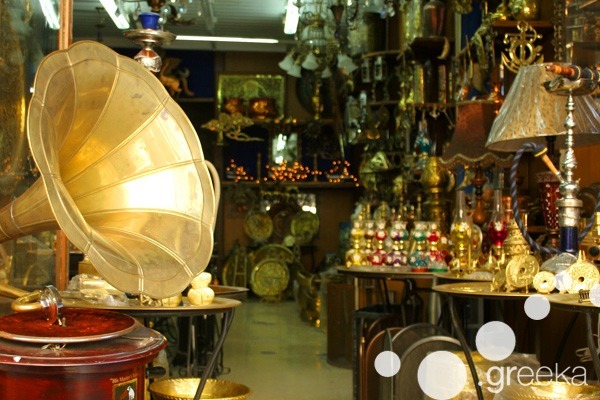 In Athens flea markets you can find a wealth of rare antiques, or their replicas, in minimal prices as well. Particularly on Avissinias Square, old saxophones, trumpets, flutes, paintings, books and vinyl records can be bought. Vintage furnishings, gramophones, even juke-boxes, and all kinds of trinkets are displayed, even things that you never thought you could buy. Traditional games, worry beads, backgammon sets, bottle openers with ancient Greek themes, replicas of statues, Byzantine icons, paintings, coins and even phone card or vinyl record collections are just a sample of the many interesting items that are sold there.